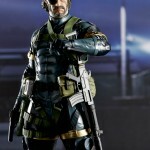 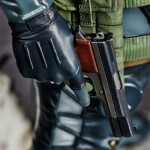 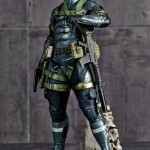 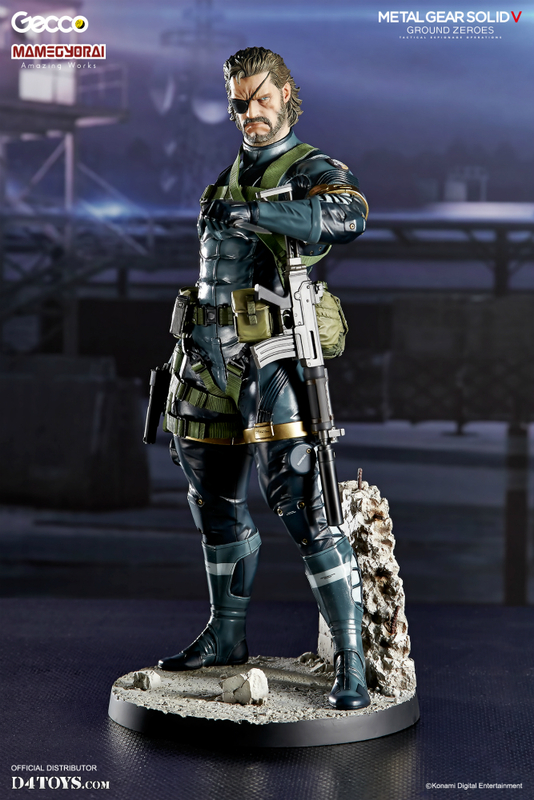 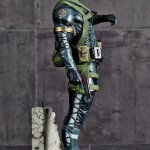 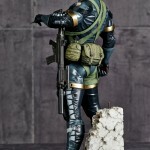 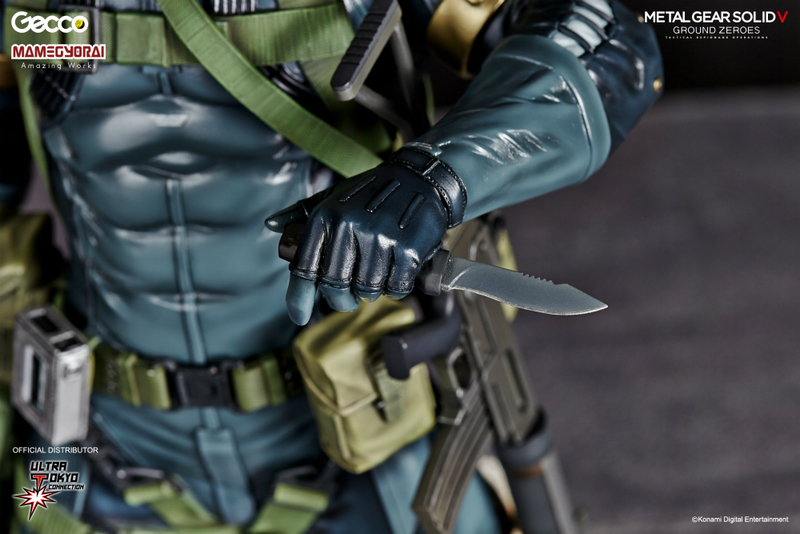 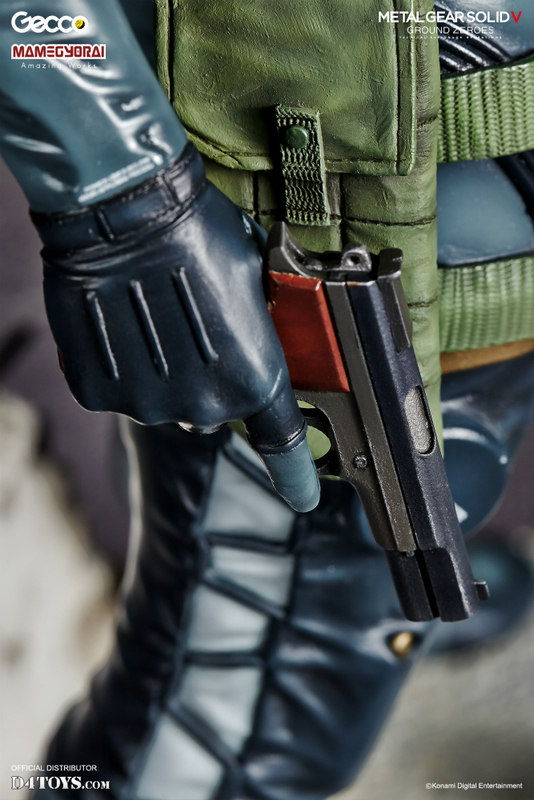 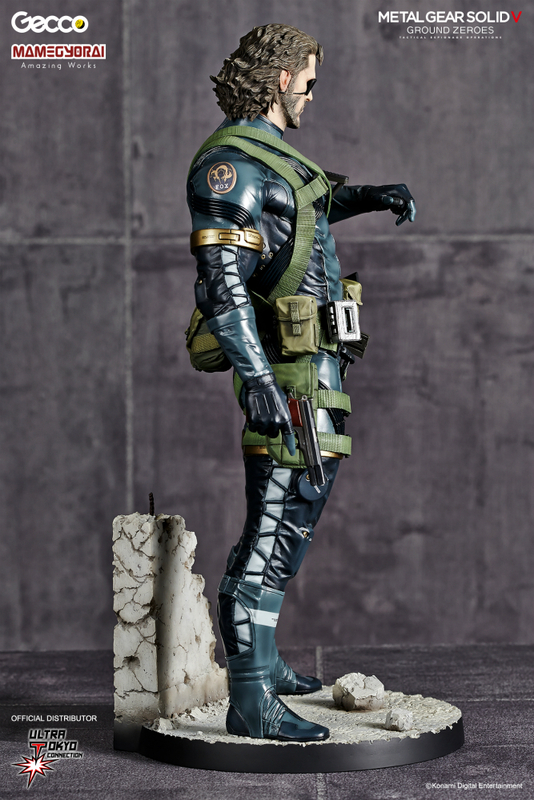 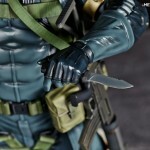 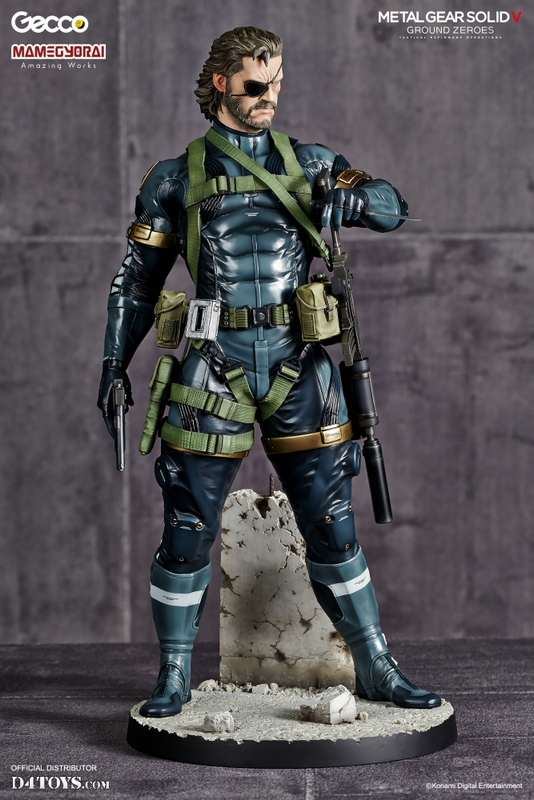 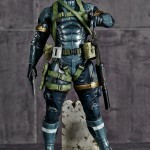 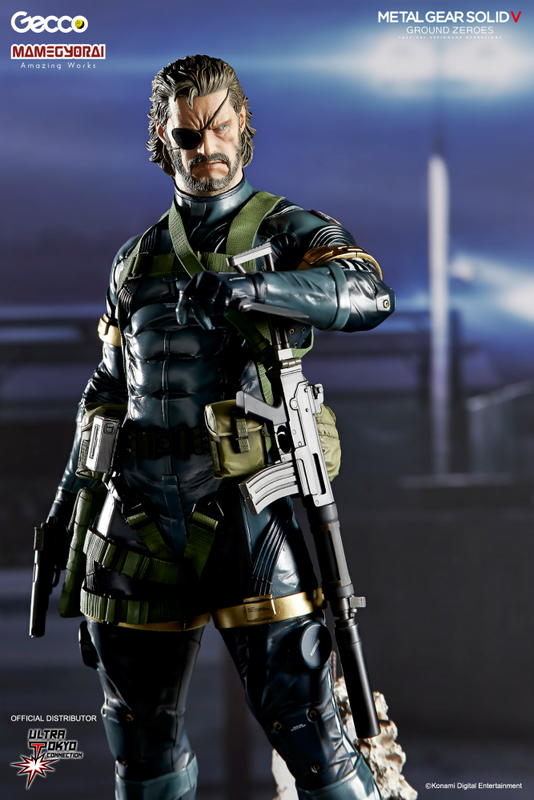 The standing pose captures both the character’s tension and confidence as he scans his environment, holding a gun in his right hand, and a knife in his left, which is special equipment from CQC. 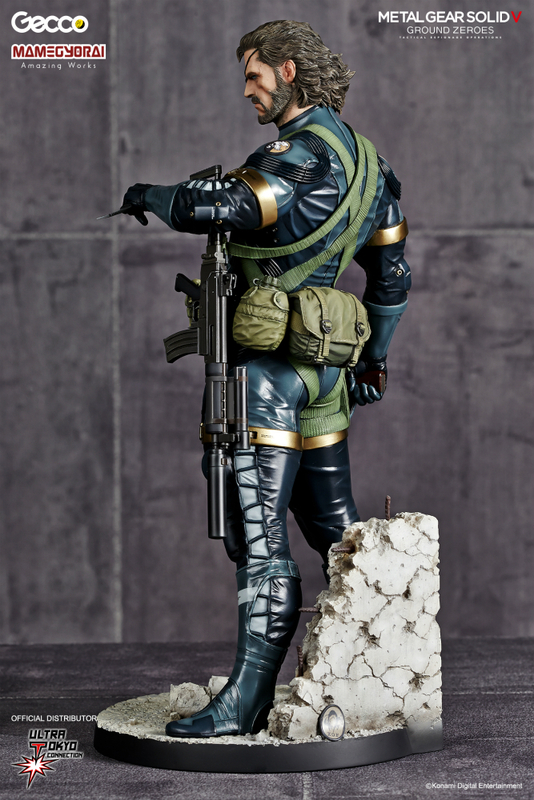 Using the concept of “Aspiring a masterpiece sculpture of SNAKE,” the pose was the most time consuming work for everyone involved. 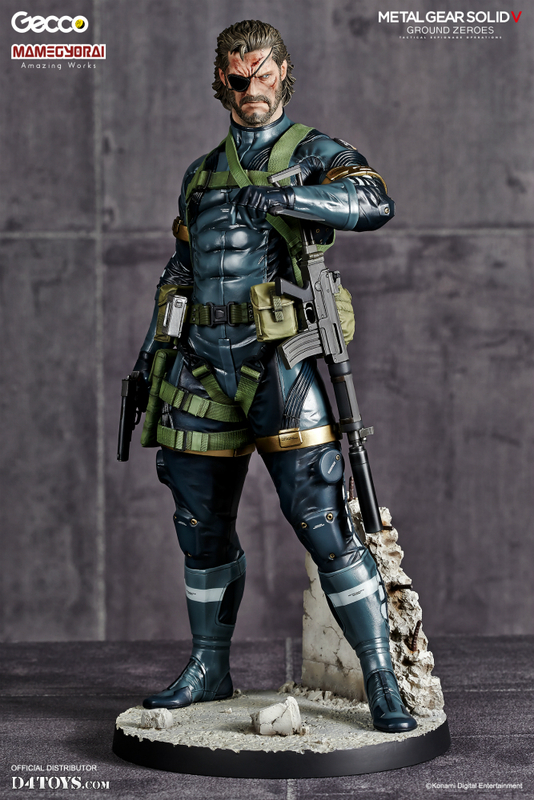 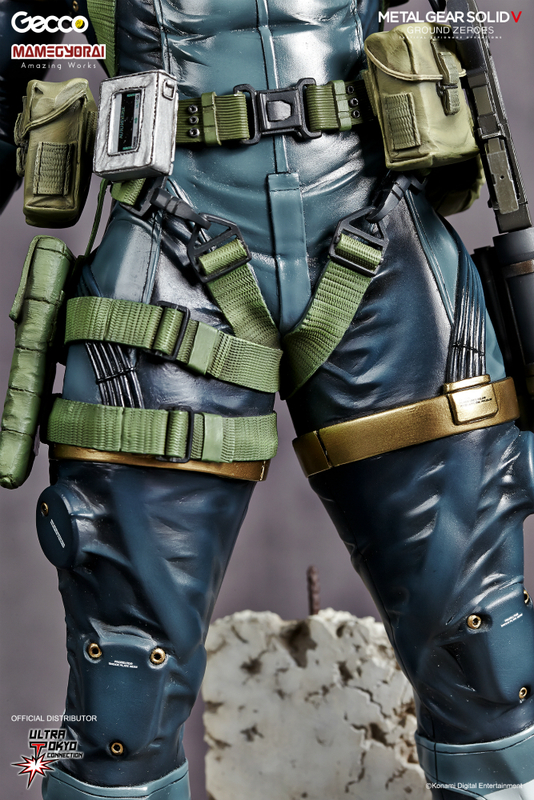 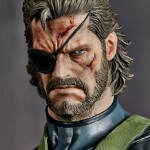 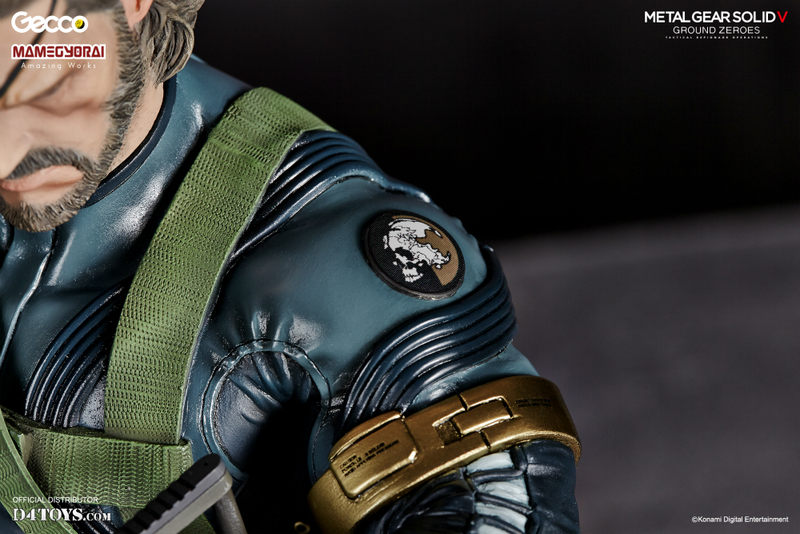 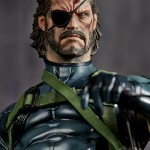 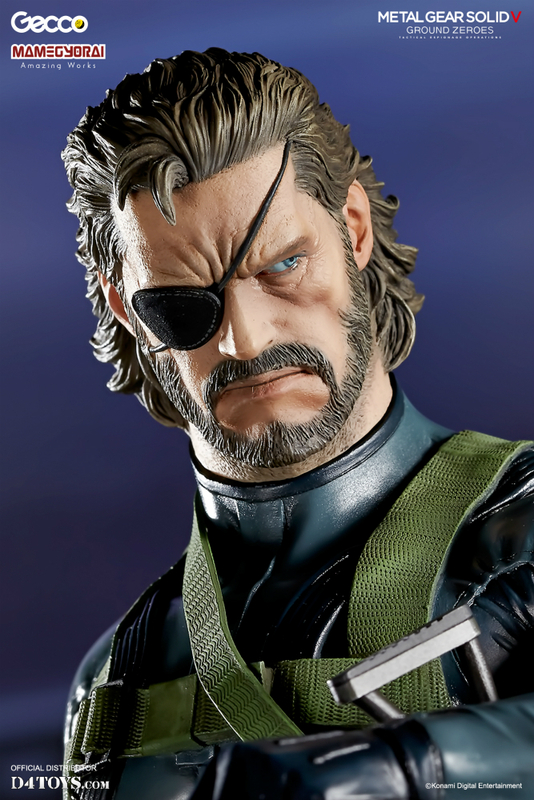 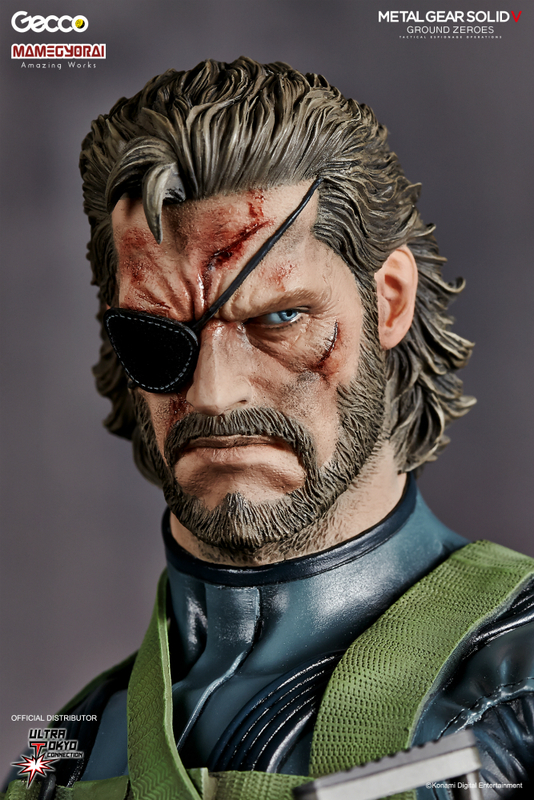 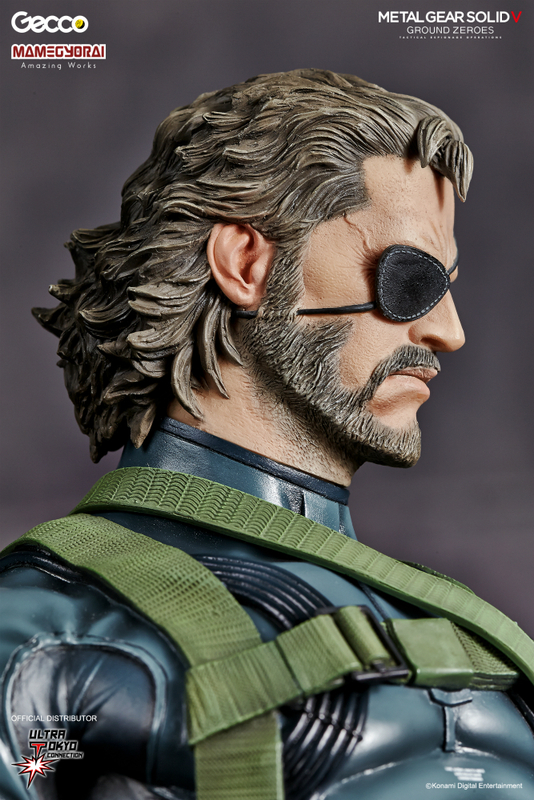 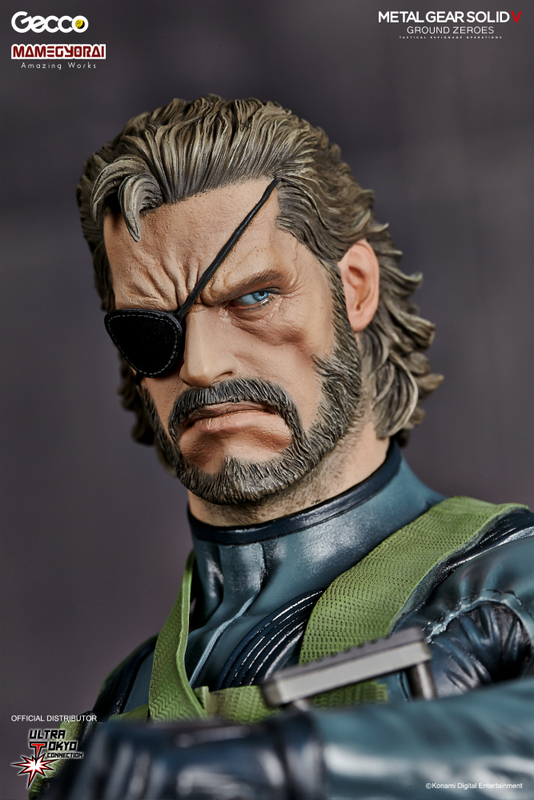 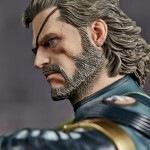 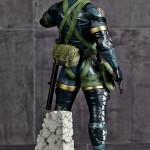 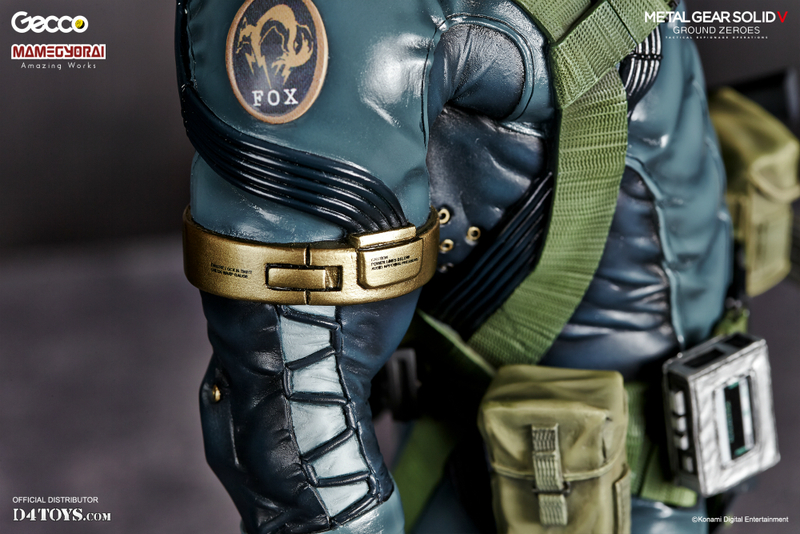 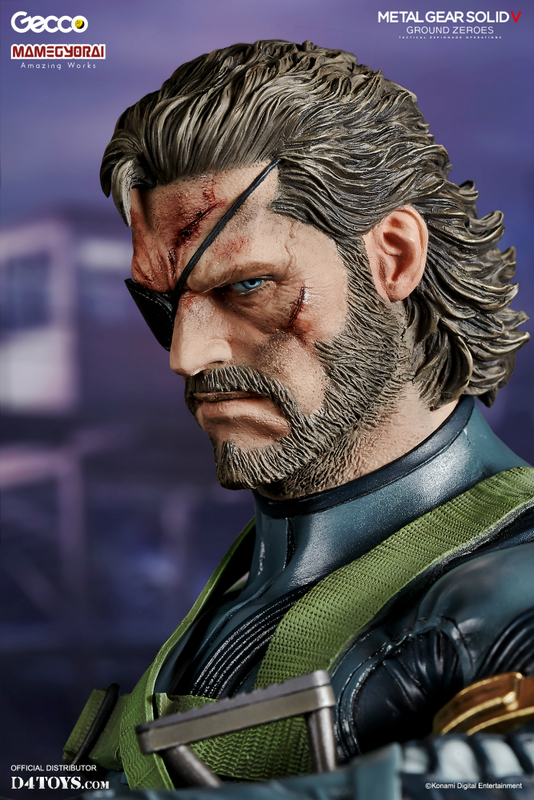 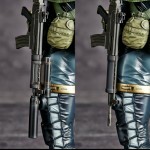 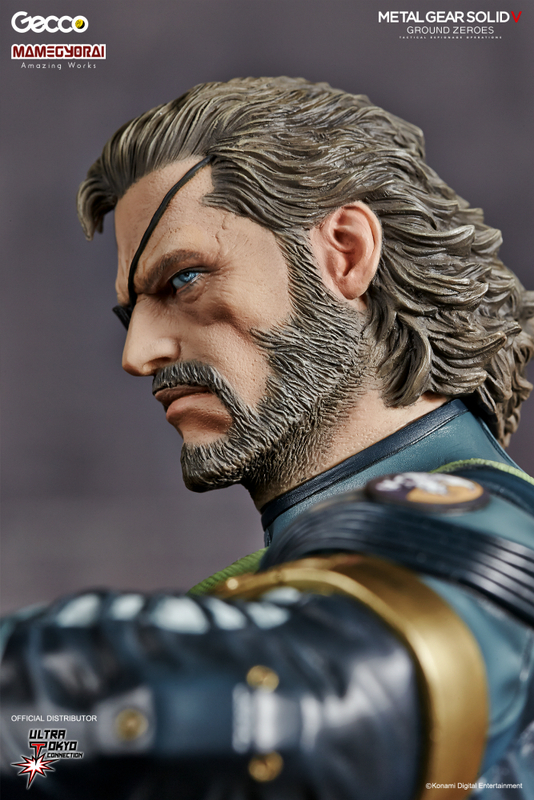 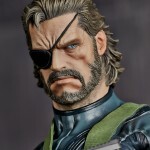 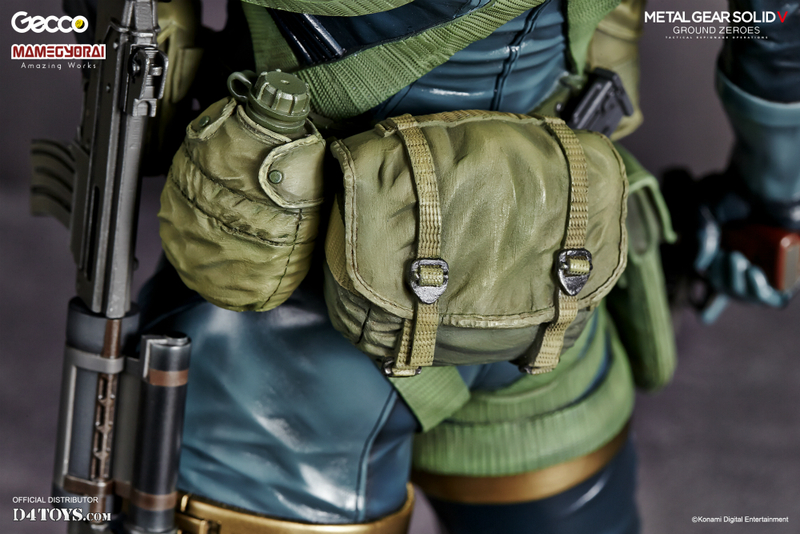 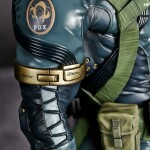 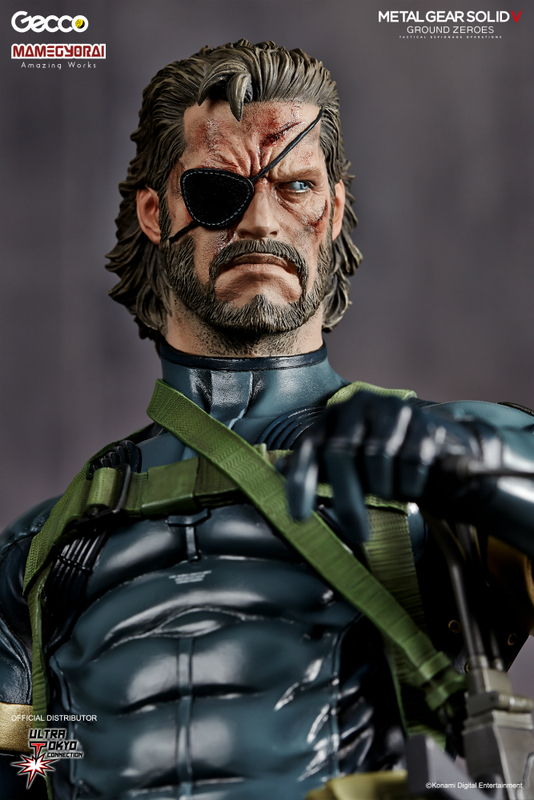 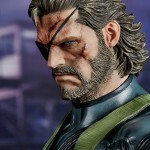 The whole sculpt, from the subtle sign to the fine details of equipment, was thoroughly supervised by Yoji Shinkawa (the art director of Kojima Productions), and made it possible to recreate his original art perfectly. 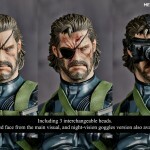 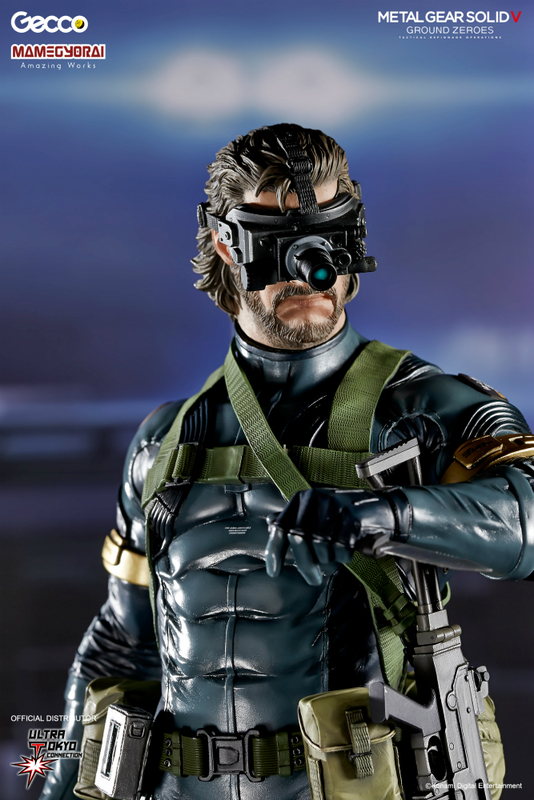 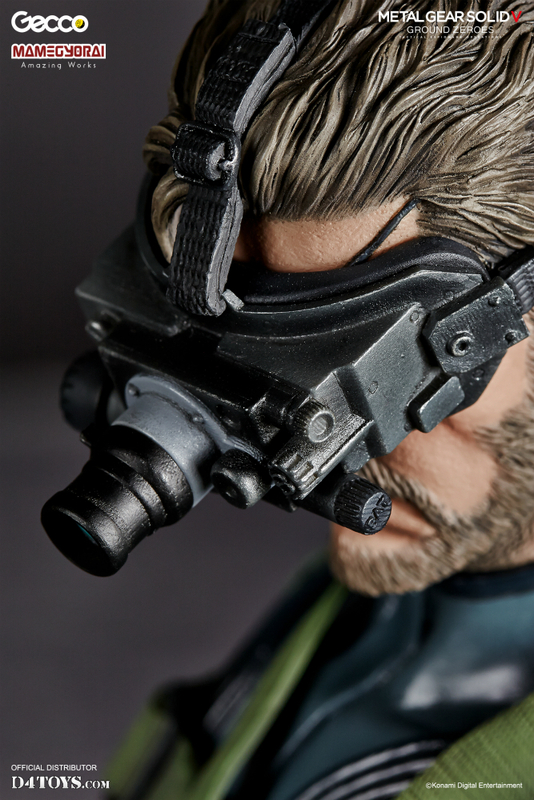 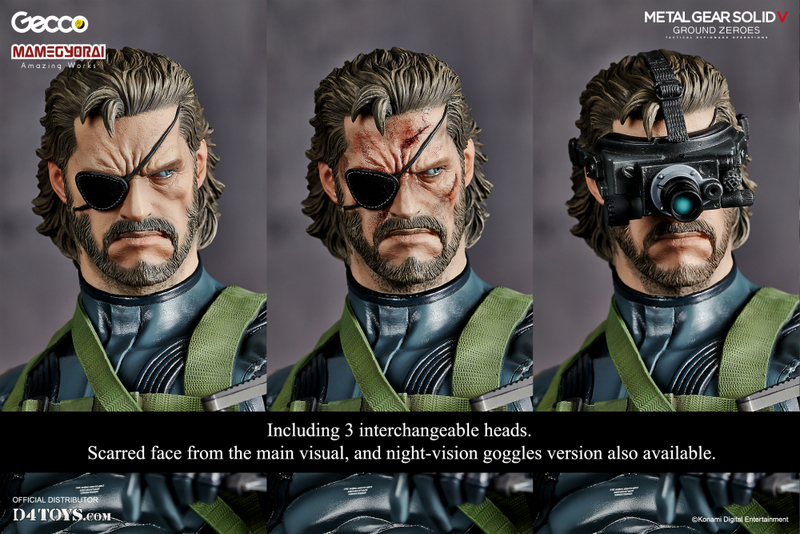 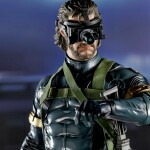 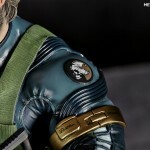 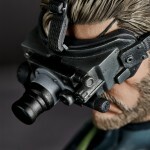 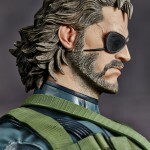 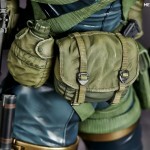 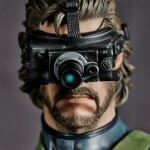 There are 3 interchangeable heads included, normal head, scarred head from the main visual of the video game, and night-vision goggles version. 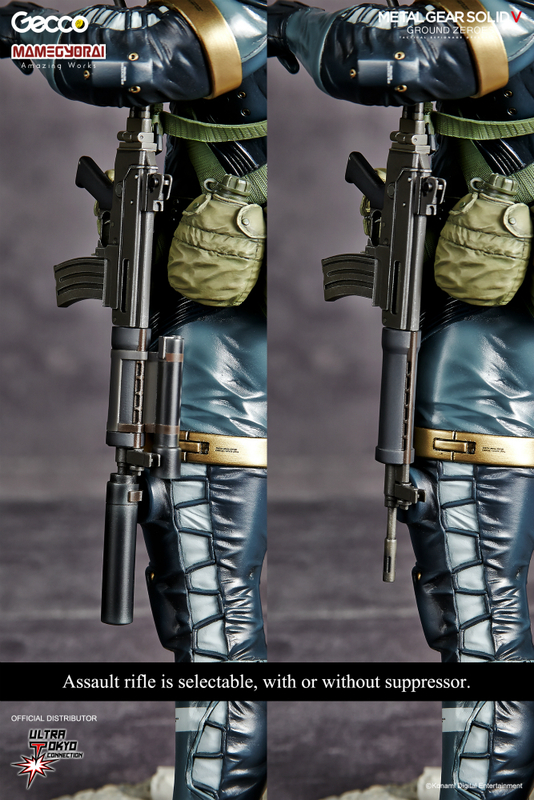 The assault rifle is interchangeable and can be displayed with or without the suppressor. 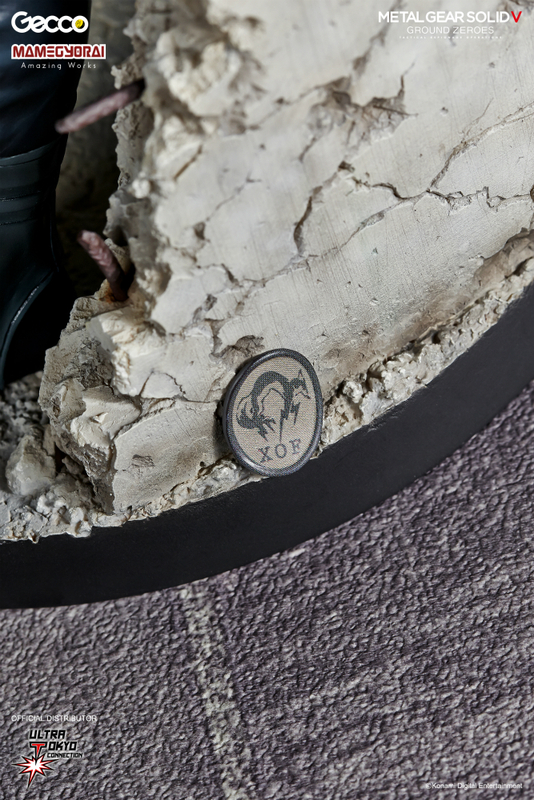 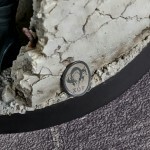 If you play the game, you’ll see what the “Patch” behind the base means. 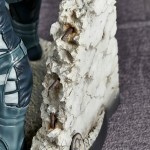 The sculptor is Shinya Yamaoka, who specializes in capturing high density detail in all his sculptures. 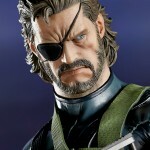 He recreated the brush stroke of Mr. Shikawwa’s drawing; but also made SNAKE’s head hyper realistic and life like. 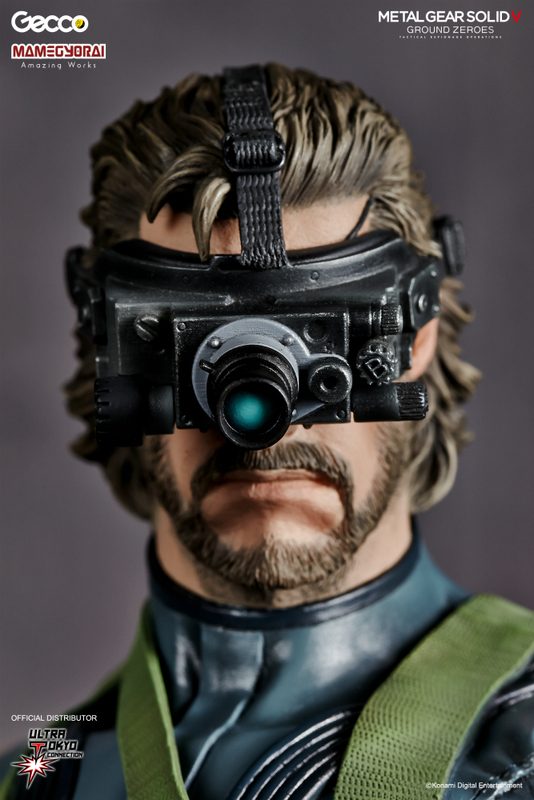 The weapons and goggles were digitally sculpted by Masaki Akao. 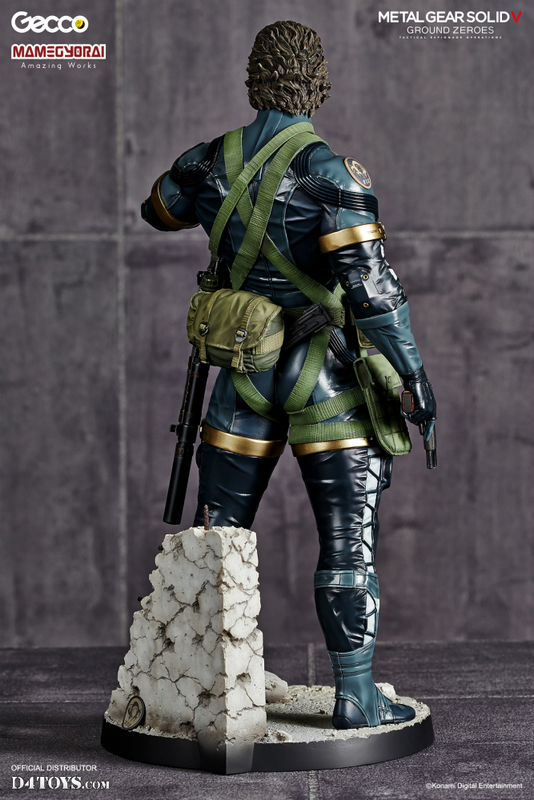 The paint work is done by Katushige Akeyama ( -accent- ). 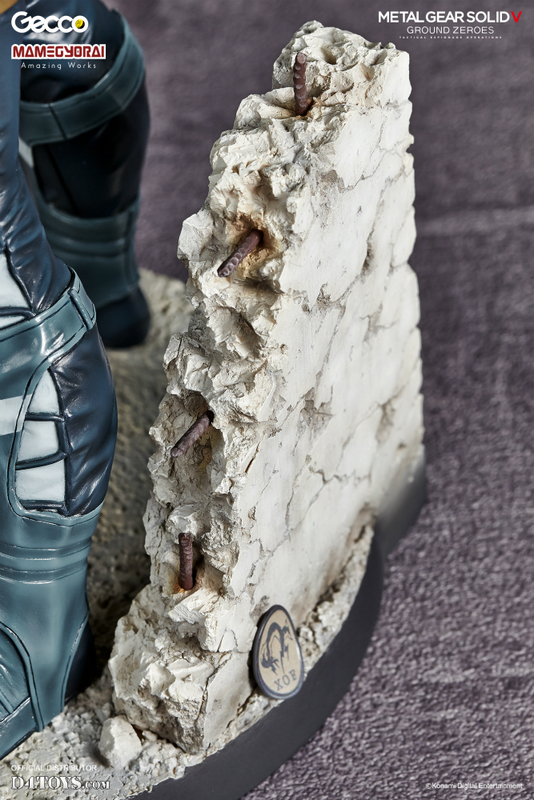 Check the carefully applied texture from head to base, not one detail was left out from this extraordinary statue.